Mark your calendars to show your support for Greenbelt protections in Waterloo Region! The provincial government is hosting a local open house as part of these consultations, and we need you to be there! The open house will take place on Thursday February 22nd from 5:30 pm to 8:00 pm at the Tannery Event Space (151 Charles Street West, Kitchener). People in Waterloo Region have been asking to be included in the Greenbelt for more than a decade. After being left out of the original Greenbelt, the provincial government is finally listening. Attend this open house to learn more, to share your views, and to show that it is finally time to give our area the extra layer of protection from urban sprawl that other communities have had for so long. To learn more about the consultation, check out the province’s consultation page as well as the consultation document. 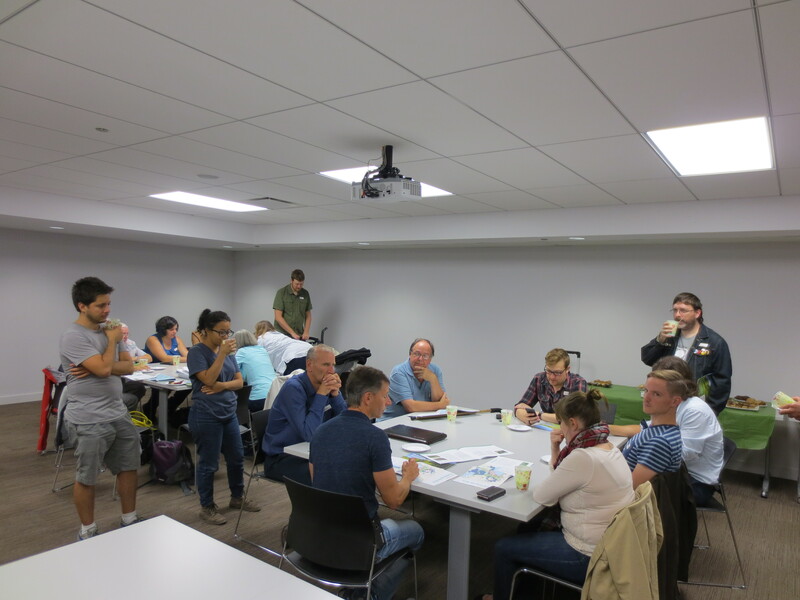 You can also read our blog post and news release about these consultations. If you can’t make it to the local consultation, you can still share your views online, by email, or on the Environmental Registry. See here for details. This entry was posted in Uncategorized on February 11, 2018 by Kate Daley. On December 7, 2017, the provincial government announced that they are consulting on expansion of the Greenbelt into the outer ring of the Greater Golden Horseshoe. This includes Waterloo Region, where the Waterloo Moraine is one of six study areas proposed. For full details, check out the province’s page. You can also see our news release. This consultation is great news for Waterloo Region, where our community members have been asking for Greenbelt protection for years and years. We are fortunate to already have strong local protections for our countryside, including the Countryside Line and Protected Countryside designations. But we need an extra layer of protection from the province to ensure that we protect our groundwater and countryside permanently. Two levels of protection would mean that one rogue politician cannot undermine decades of work to protect our community from urban sprawl. We need to make sure that the Greenbelt, after more than a decade, will finally come to Waterloo Region, and to make sure that its arrival will not lower any existing local protections we already have in place. We hope you’ll submit comments in support of Greenbelt expansion into Waterloo Region, and participate in the open houses expected to be scheduled in January and February of 2018. This entry was posted in Uncategorized on December 13, 2017 by Kate Daley. 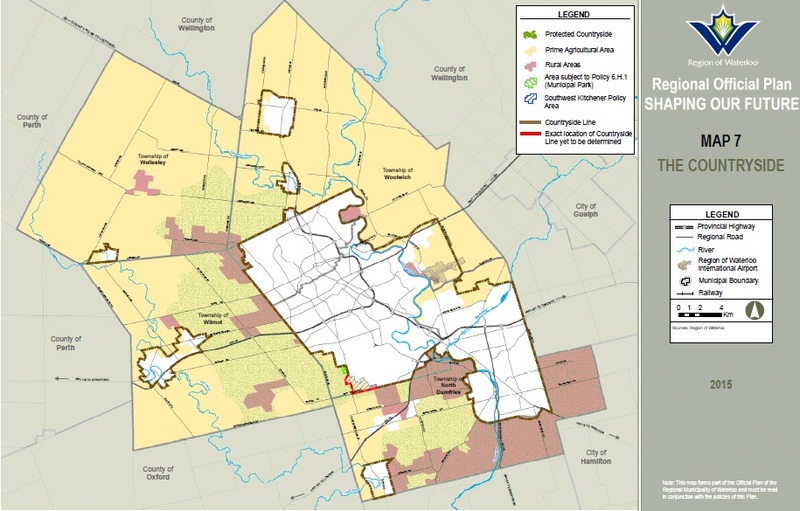 It’s time for Waterloo Region to be included in the Greenbelt. And we need your help to make it happen. The provincial government is considering expanding the Greenbelt beyond the Greater Toronto and Hamilton area. Right now, they’re asking for comments on where it should go, as part of their land use planning review. We need to make sure that Waterloo Region isn’t left out of the Greenbelt again. When the Greenbelt was originally created, the Region of Waterloo asked several times to be included. But our community has not received the protections that other communities got from the Greenbelt. Combined with the other policies of the Region’s 2015 Official Plan, the Protected Countryside is designed to ensure that we can build more liveable urban communities while protecting and supporting agriculture and our environment. These local protections are important, impressive, and strong. But they are not yet as strong as they need to be. Under provincial planning rules, municipal governments are not allowed to make permanent plans. Any future regional government could make a rash change that threatens the lands that our community has decided to permanently protect. Our local plans aren’t permanent, but the Greenbelt is. Overlaying the Greenbelt on our Protected Countryside would provide a second layer of protection. Because of our existing local protections, inclusion in the Greenbelt wouldn’t change things on the ground for landowners. But it would make sure that our local protections are permanent, just like they were intended to be. Looking beyond our borders, we find more good reasons to extend the Greenbelt to Waterloo Region. While our local protections are strong, they are only within the boundaries of Waterloo Region. But our key environmental features don’t stop at municipal borders, and their protection shouldn’t, either. This map of their proposed Bluebelt extends beyond our local Protected Countryside to include all of our moraines. But it shows just how large our moraines are, and that they extend well beyond municipal boundaries. To truly protect our local resources, we need our local protections to be integrated with protections for our neighbouring municipalities, some of which have not had the same local leadership that our community has had. Use our handy contact form, and take 30 seconds right now to email our local MPPs and regional councillors, and tell them that you want the Greenbelt in Waterloo Region. Give them the support they need to make sure we don’t get left out of the Greenbelt this time. This entry was posted in Uncategorized on July 18, 2016 by Kate Daley. We need the Greenbelt, and we need your help! Mark your calendar. The provincial government is hosting a series of open houses all across the province on these changes, and the first one is right here in Waterloo Region! Join us on Tuesday May 31st from 5:00 to 8:00 pm at the Preston Auditorium at 1458 Hamilton Street. There’s lots to learn about the proposed changes. The official documentation from the province is all online, but that’s not all. You can read our news release on the announcement here. This entry was posted in Uncategorized on May 28, 2016 by Kate Daley.